How Much Does It Cost To Thatch A Roof? 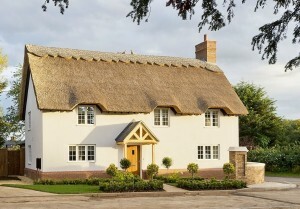 The cost of thatching a roof can vary throughout the UK, there are a number of factors affecting price from location, roof types, to different thatcher’s and their costs. It is important when choosing the Thatcher for your job to do your research and see their previous work and speak to past clients they have done work for. 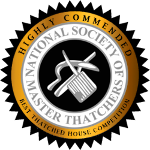 With over 10 years experience in thatching, Heart of England have qualified with dozens of satisfied customers throughout the Midlands and the UK. 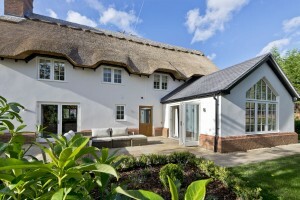 How much does thatching cost? Is the most common question asked, the cost of roof thatching is based on the area of the roof to be thatched? It is important to know that thatching is a highly labour intensive job that is all done by hand. Although some machinery may be used to lift bales of reed onto the scaffolding, most of the crafting is done by hand and is time-consuming. When thatching a roof it is important the roofing job is watertight and visually appealing, all of these tasks take years of practice and can only be done by expert craftsmen. Unlike other jobs, these tasks cannot be delegated to other people that have no experience in this field, they must be done by craftsmen with years of experience as one mistake and thatching job can go to waste. It is important to get a thatched roof insurance survey carried out to ensure there are no hidden costs or anything underlying such as needing wooden roof repairs. The shape of the roof is it a circular roof. Rectangular roof. The design of the roof. Does the roof require ridges? Typically you will require 2-3 ridges to every 1 re-thatch. Is wiring requiring for the thatching job? The thickness of the roof required. What type of flashings are to be used. When getting a quote for a thatching job it is important to always get the costs in writing so it is clear what you are being offered and also you know exactly what you are going to get. It is important to remember the most expensive quote may not be the best Thatcher to go with and similarly a cheap thatching quote may not be the worst, you get what you pay for. Before starting your thatching job be sure to see previous work carried out by thatcher’s and be sure to get in touch with previous clients they have completed work for. When pricing thatching roof jobs there are a number of costs the Thatcher as to take in mind, for example, material costs, labour costs, overheads and other unexpected costs that may incur. There are a number of external factors that can affect the timescale of a project, for example, hiccups caused by traffic delays, builders, architects, scaffolders, hauliers missing deadlines and the list goes on. Often thatcher’s will have to work on the weekends and longer days than normal to make up for lost time affected by external factors. There are not many other jobs where so many external factors could delay a project. In the long run, it would be beneficial to call qualified craftsmen to your property to get experts view. On close inspection, it may turn out a new thatched roof may not be required and new coats of reed may need to be applied to your existing thatch roof. The layer of the reed will depend on the type of reed you have on your existing roof. 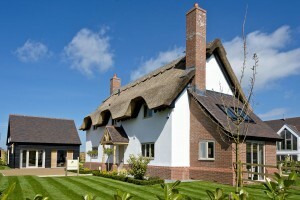 Get in touch with Heart of England today for a quote of your new or existing thatch roof.